Fellow writers and critics pay tribute to author JG Ballard, who has died at the age of 78 following a long illness. In the pantheon of writers of the late 20th century I think he'd be right at the top. He was one of the first to recognise that so much of what is going on is a set or illusion - politics and so on is without context, and it's a world where the spinner operates. He looked at the disregarded things. He was good at seeing poetry in advertising copy and research papers, documents dealing with car safety. He managed to finesse all that into this beautifully elegant fictional style. His work had an impressive concentration and range. He covers so much of what we think of as modern life, and things which other writers see as marginalia are central to him. Dystopia and suburbia figure centrally in his work and he makes them both disgusting and shiny. Many people wanted to place the credit for his outlook on living in Shepperton, as though somehow in the suburbs he'd been the given idea for all this, but it goes much further back to his life in the internment camp. He met there a completely upside down world where nothing is reliable, rumour is as likely to be true as good reporting, the moral centre is flipped into the air and moreover a world where survival depends on paying great attention to ordinary things. He had a love of the ordinary and surreal at the same time. He was extraordinary and remarkable. He opened up subjects that seemed peripheral or uninteresting - urban spaces, motorways, airports, high rises. He showed what can happen there; that they were charged sites of human activity, if unliterary. He saw that if you looked at the edges of vision - the places often treated with a kind of snobbery - they were where new things were happening, not in the avant garde. 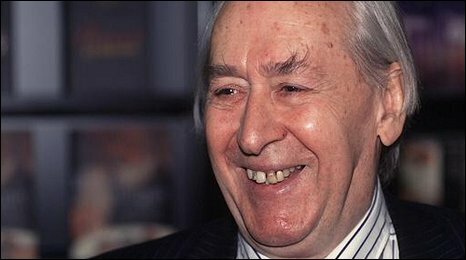 J G Ballard redefined modern literature, and also had a profound influence on film. Many will be familiar with Steven Spielberg's adaptation of Empire of the Sun but it was David Cronenberg's typically adventurous version of Crash which really caught the spirit of Ballard on screen. It was one of the few "perfect" films of the nineties - a movie which literally had no flaws. The fact that it provoked such vitriol amongst tabloid newspapers merely stands as a testament to the timeless power of Ballard's original ideas which clearly played a key role in Cronenberg's evolution as a film-maker. Reading Miracles of Life recently reminded me just how emotionally powerful and profoundly human Ballard's writing could be - like his life, his written work seemed to straddle the divide between extraordinary reality and strangely familiar science fiction. JG Ballard was one of my closest friends for 50 years. Together with Barry Bayley, who died last year, we "plotted" the revolution in science fiction which led to the so-called New Wave and he was a regular contributor to New Worlds [magazine], which spearheaded that movement. He was exceptionally brave and cheerful to the end. He was a loyal and generous friend and a great influence on the generation of writers who followed him. The man was so fantastic. He wrote fantastic, fantastic literature - going from Empire of the Sun to Crash, Cocaine Nights, Kingdom Come. It was dystopian fiction at its best. It influenced everybody from Radiohead to Gary Numan, Joy Division and even The Buggles, apparently. And he certainly influenced me as a writer.